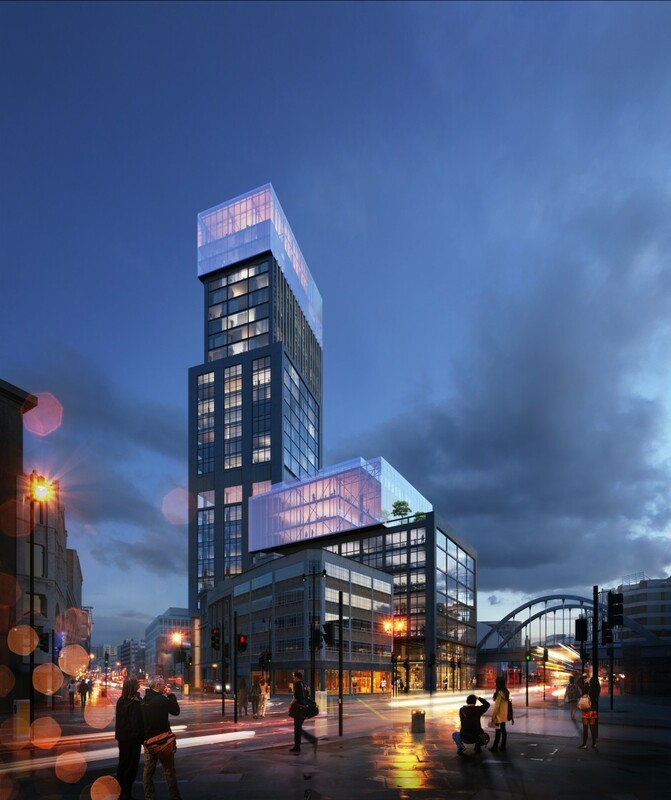 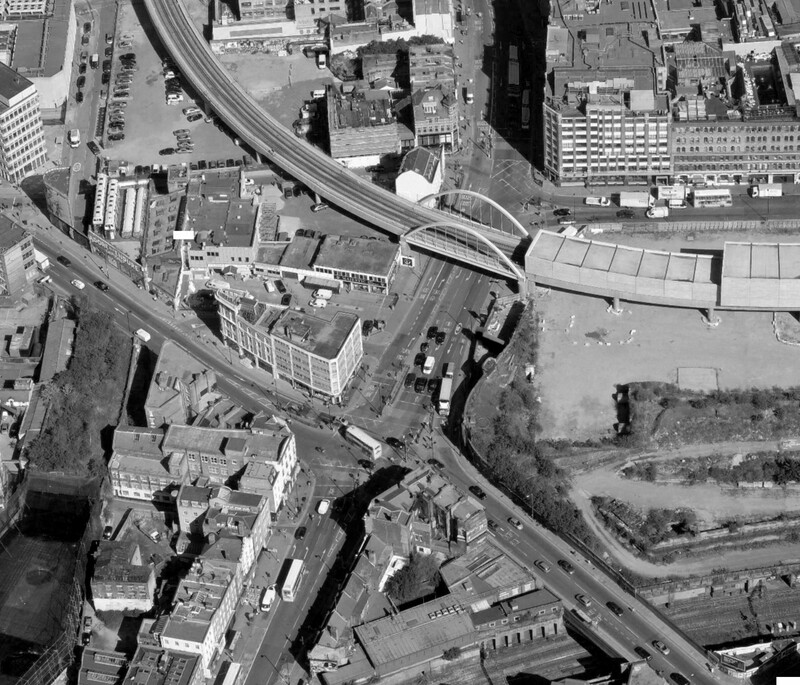 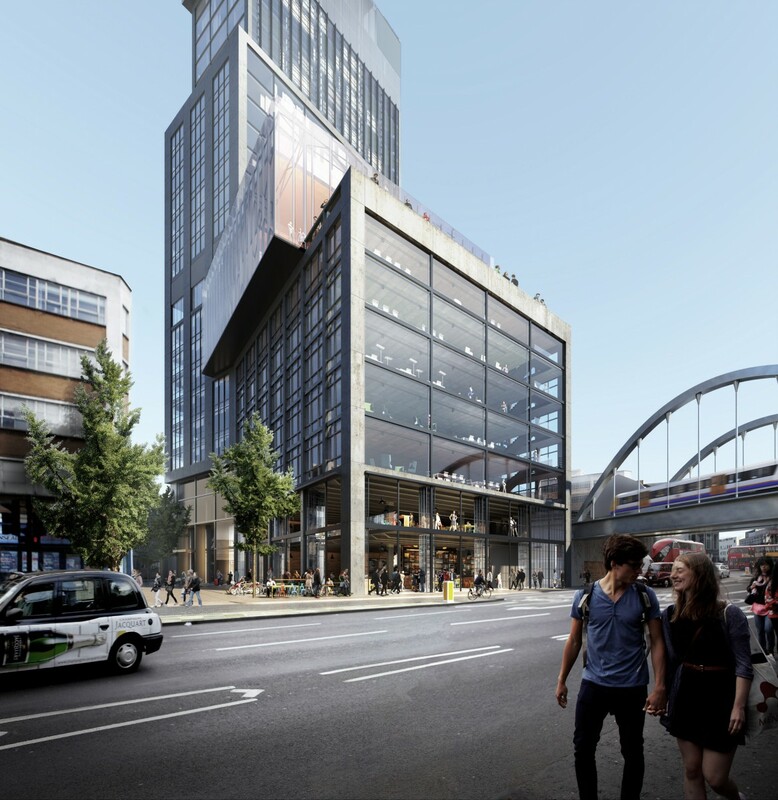 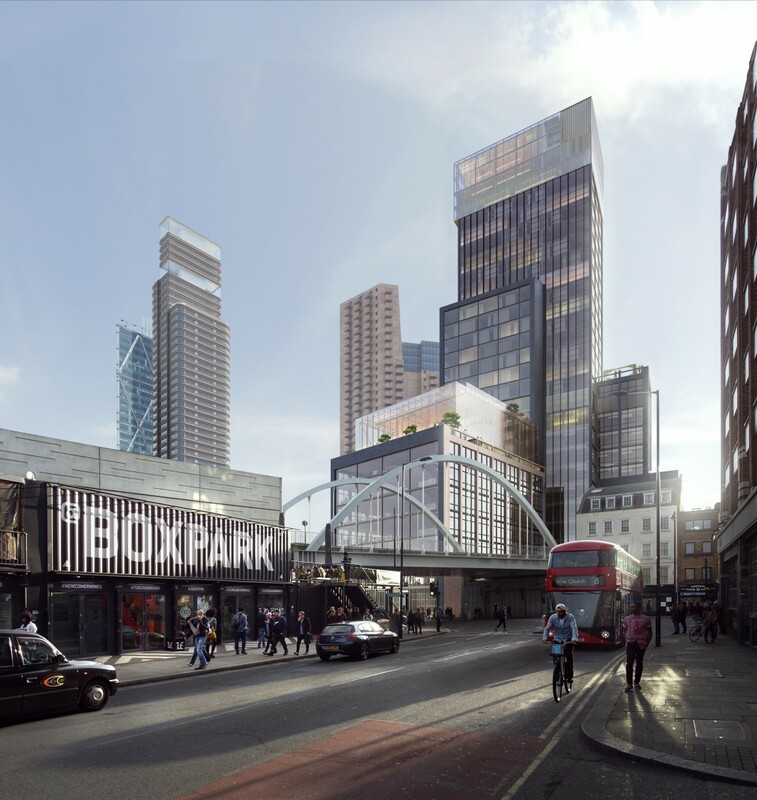 Spacehub have worked in close collaboration with Gensler architects and Hackney Council on this strategically important site in Shoreditch. 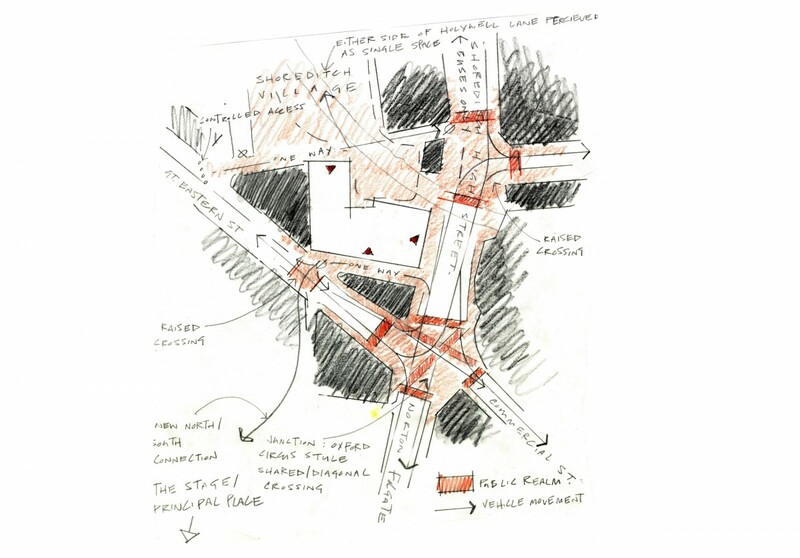 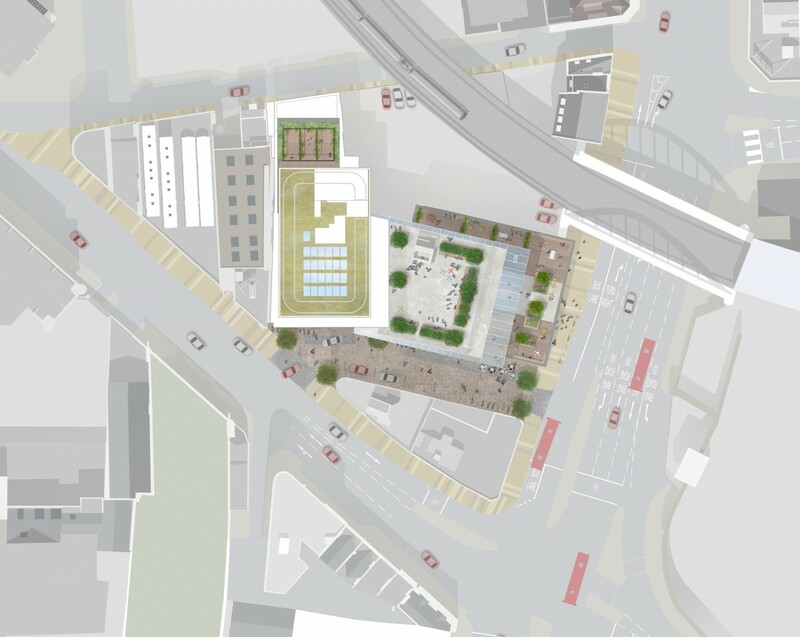 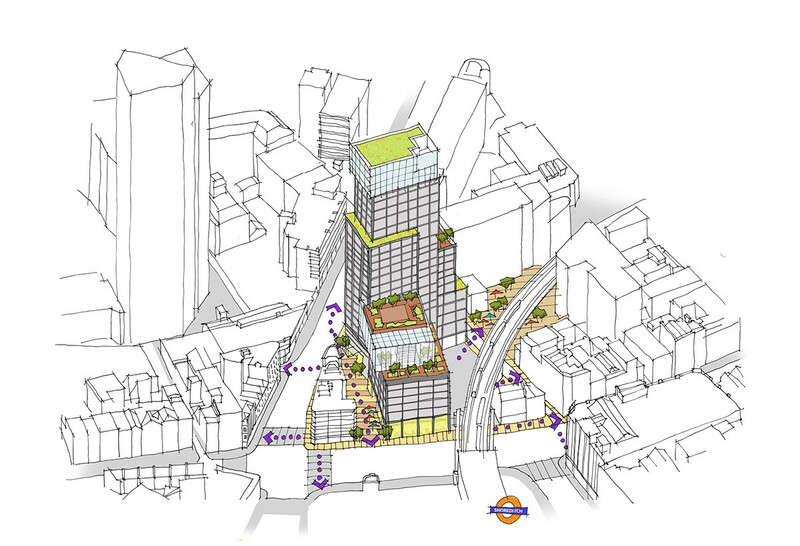 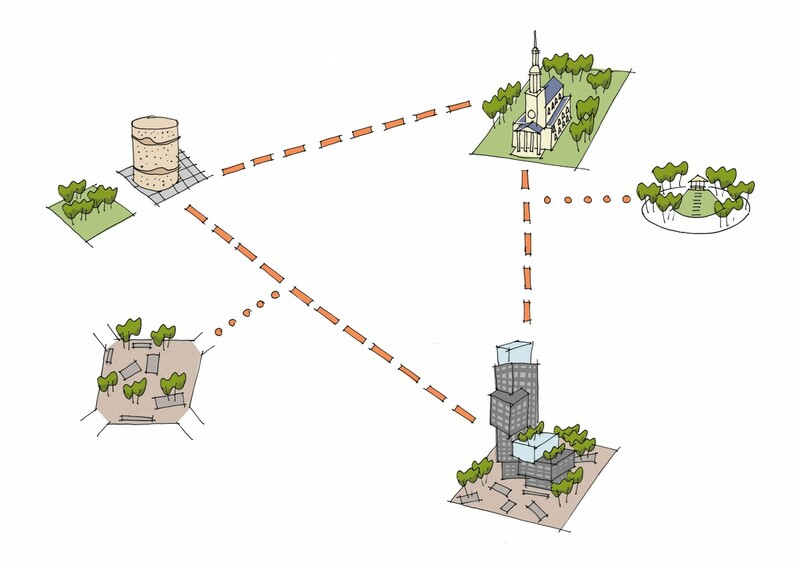 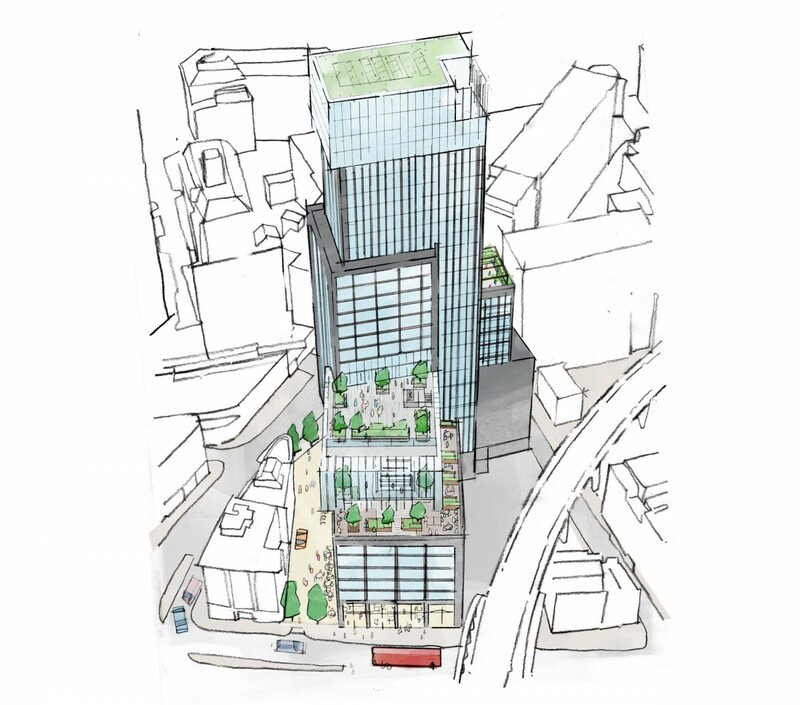 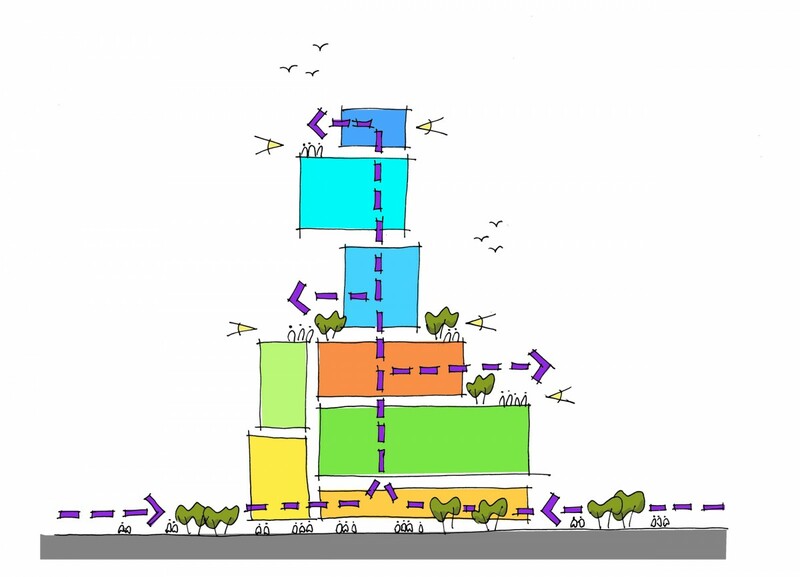 The landscape and public realm has to help integrate a mixed-used tower into its surroundings, with the restriction of a very constrained site. 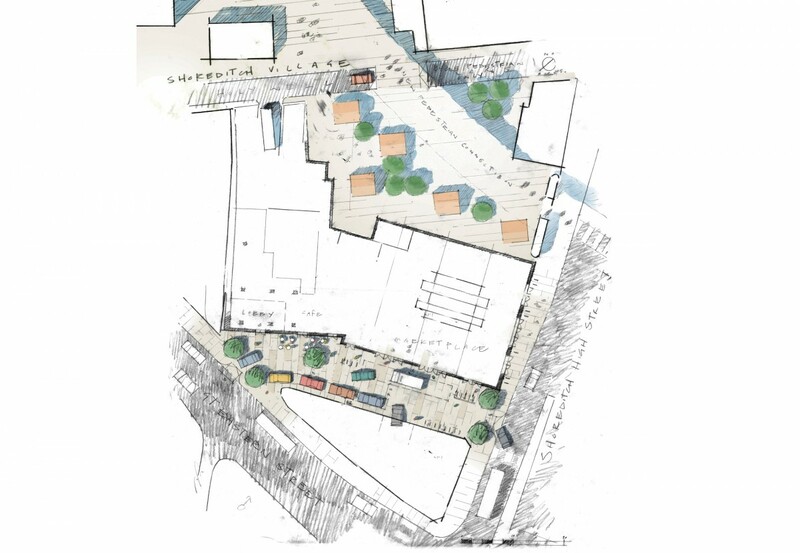 The concept for our design is ‘inside out, outside in’ – encouraging occupants of the building to use the external spaces, while also creating a place that invites people in. 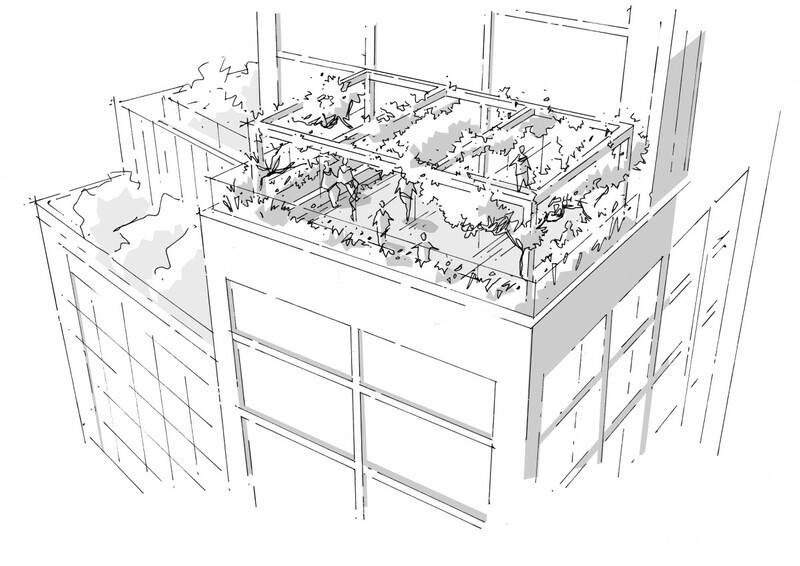 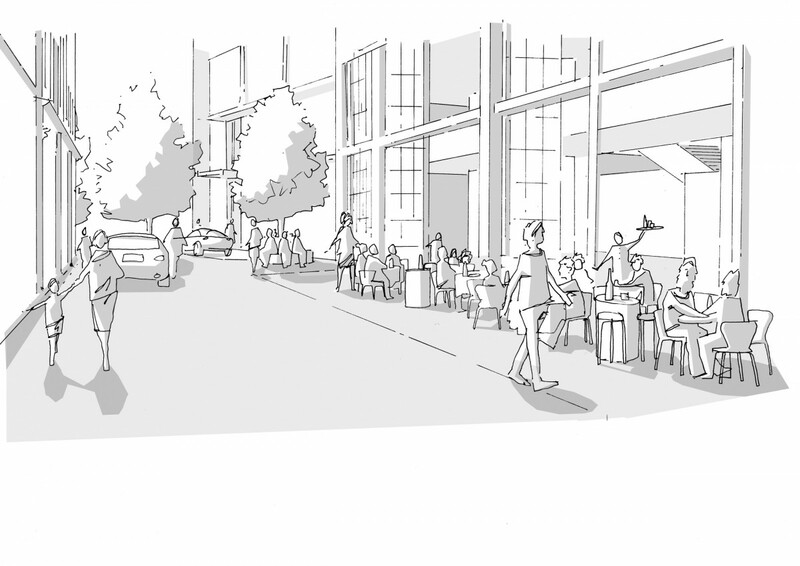 The design includes a shared-surface street, spill-out areas for cafes, three roof terraces and biodiverse roofs. 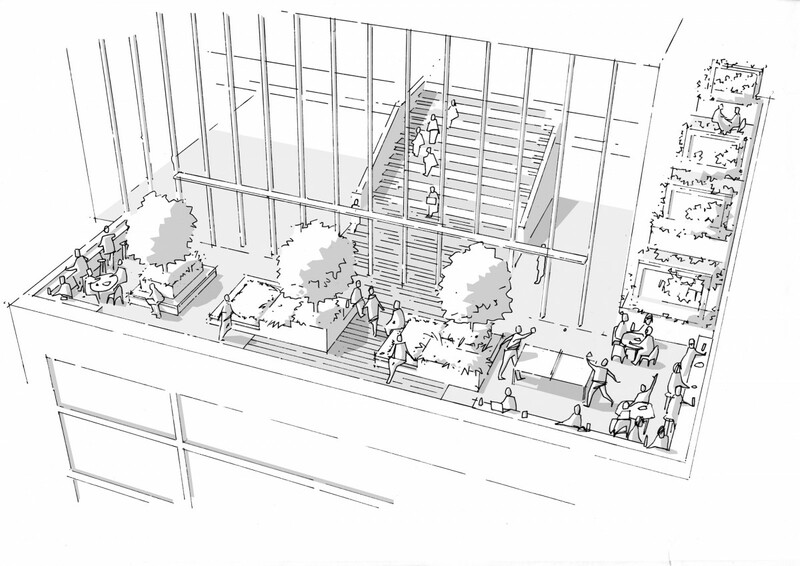 The amenity roof terraces will offer spectacular cityscape view and each is designed to serves a different function: as a co-working space; for events; and a fitness terrace. 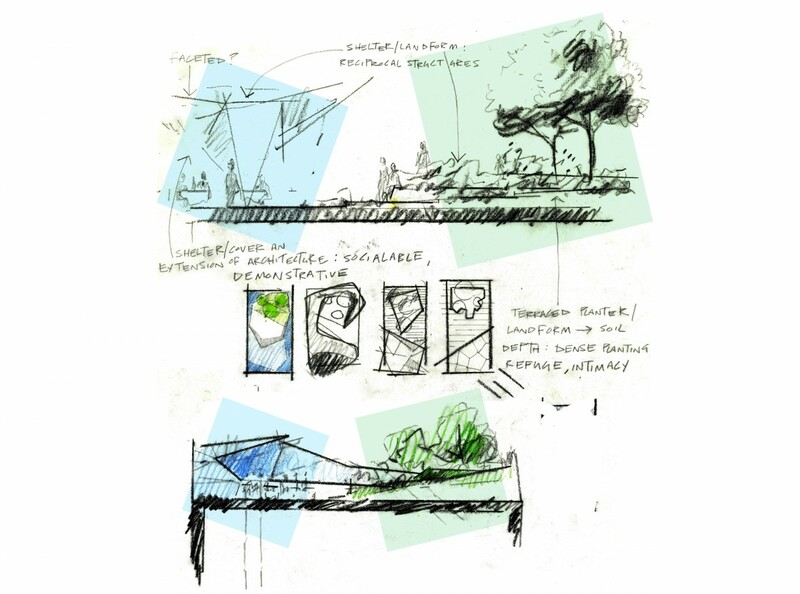 Each uses different hard and soft landscape elements to create a different atmosphere and fulfil its function. 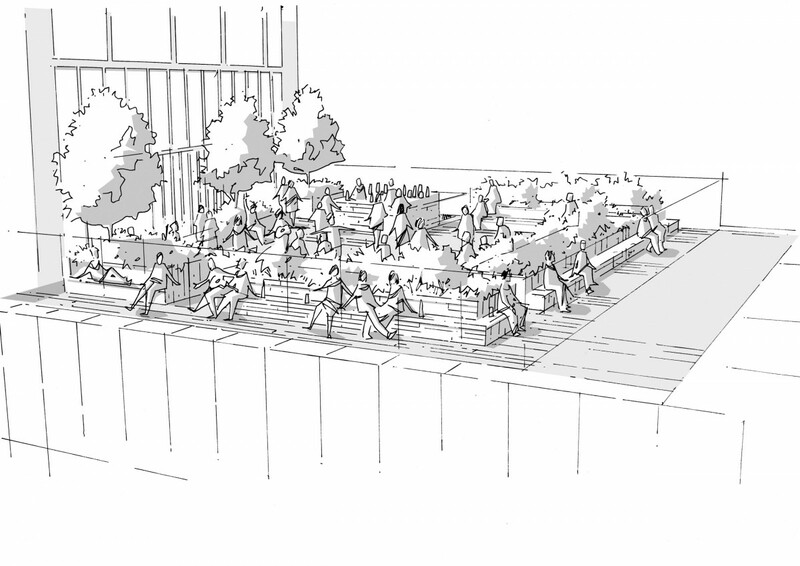 The shared surface created around the building is to provide simple and robust public realm as an integral part of the wider public realm.